It is common sense that how a young person feels about themselves and their life matters to what they achieve at school. Students themselves will tell you it and, every year, millions of parents, teachers and youth workers observe it. Learning is not something that happens in a vacuum but rather in an environment with lots of influences and where emotions matter. School is a shared experience, involving the dynamic between student and teacher, the company of peers and the encouragement of families. So it’s not surprising that there’s a wide range of academic studies that confirm the link between young people’s well-being and their achievement. A recent meta-analysis [a study combining the results of several other studies] by a group of academics at the University of Illinois at Chicago, published in February 2011, gathers evidence from 213 school-based studies in the US. By looking at the effect of programmes focused on improving students’ social and emotional literacy, it demonstrates an overall 11-percentage point gain in achievement as a result of these programmes. The study shows how neglecting pupil well-being also means neglecting their achievement. As the authors state, ‘emotions can facilitate or impede children’s academic engagement, work ethic, commitment, and ultimate school success.’ This confirms what schools, parents and youth organisations have long known: well-being really matters. 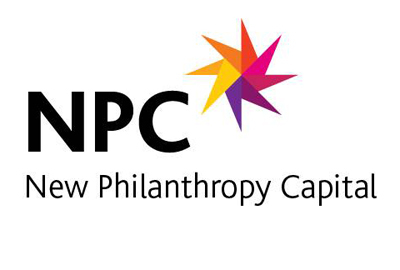 In time, as the data we collect from NPC’s Well-being Measure increases we aim to help further evidence this link. We’ll keep you up-to-date with developments right here!